After some consistent leaks, we now have official word on Misfit's new smartwatch and it's called the Vapor 2. It sports a slightly different design to the first generation device, plus there's some new tech inside here too. The Misfit Vapor 2 comes with built-in GPS, unlike the original Vapor, as well as NFC support so you'll be able to make mobile payments using Google Pay. It's also swim-proof, so you can take this in the pool to track your exercise without worrying about ruining it. There's an AMOLED display on the front of the device, but we don't currently know the exact screen size for either device. You will get 328 pixels per inch, which should be as clear as it was on the first generation of the company's smartwatch. The bad news is it uses an older Qualcomm Snapdragon 2100 chipset. Considering Qualcomm has announced the Snapdragon 3100 chipset, that may mean the watch isn't as snappy as some top-end devices like the Samsung Galaxy Watch or Apple Watch 4. We won't know that for sure until we've tested it though, and we don't currently know how much RAM the Vapor 2 is using. There's 4GB of storage onboard for when you want to connect Bluetooth headphones and listen to music. 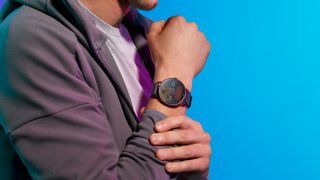 The watch comes running the latest Wear OS software and it'll be compatible with iPhones running iOS 9.3 or later as well as Android devices with 4.4 software or higher onboard. The Misfit Vapor 2 release date is currently unclear but the company claims it's coming "soon" so we have our fingers crossed we'll have one to officially test in the coming weeks. The price starts at $249.99 / £215 (about AU$350) but we don't currently know the official price for Australia or whether it'll be launching there.